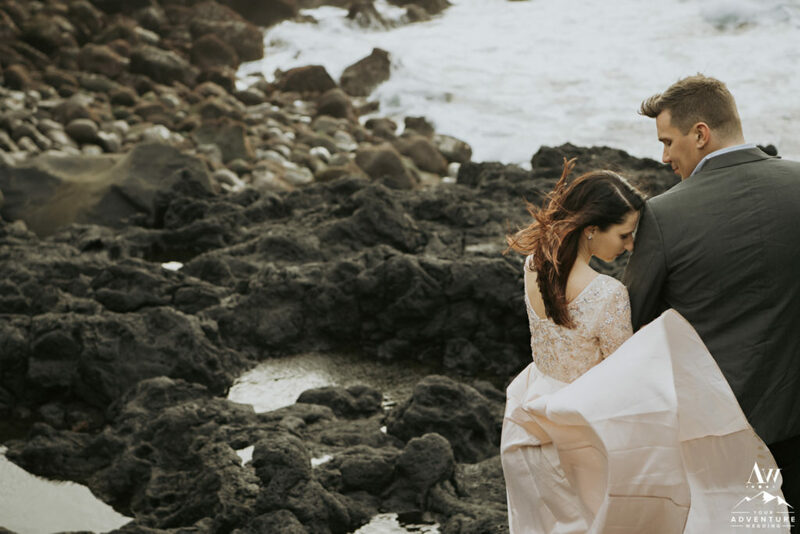 Most of us wait all our life to find our forever love or aka, our soulmate. Sometimes, it takes a try or two to find that person and there is absolutely no shame in that (I’m proof, remember?)! 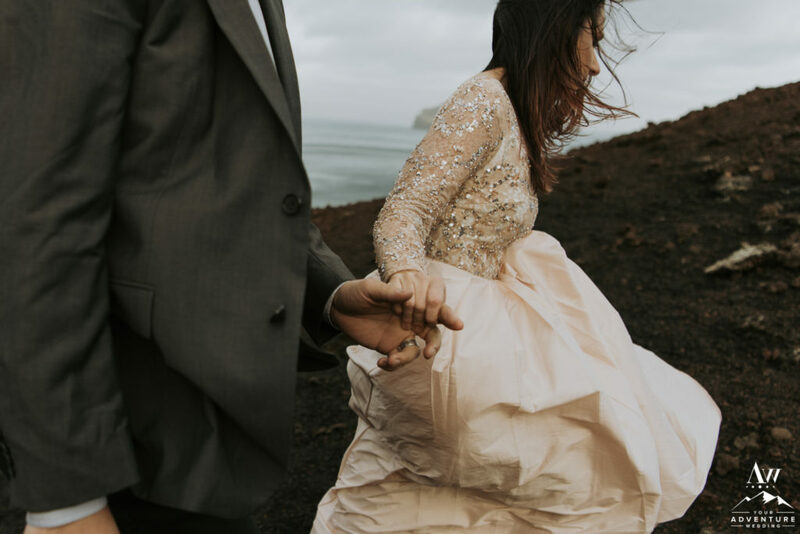 But once you find your perfect person who shows you how you should be loved and teaches you to love at a deeper level, you better hold tight to them and never let go! But as we all know, love has many phases as it grows. Choosing the same person every day is just that, a choice. Just as choosing to be happy today or being grateful. 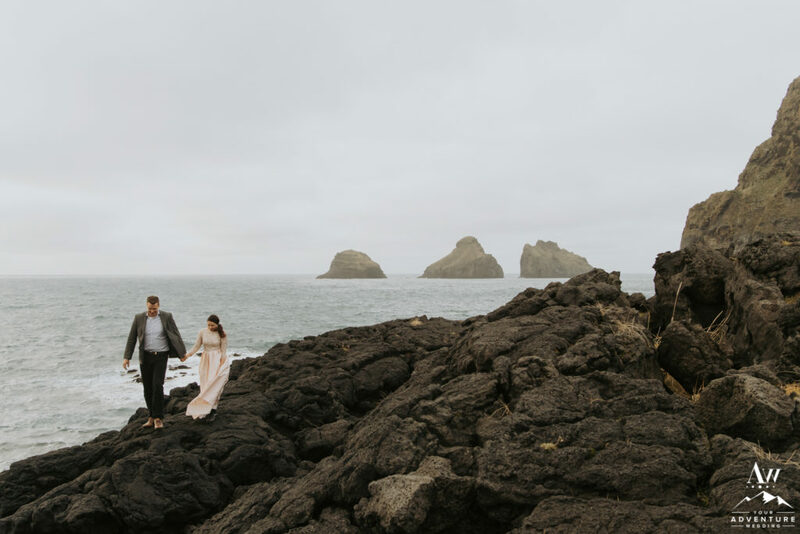 Some days it’s super easy, others it can be challenge, but you do it every day in honor of the wedding vows you declared to each other and the mutual respect you share. There are days when one partner gives 90% and the other can only offer 10% and you support them through. 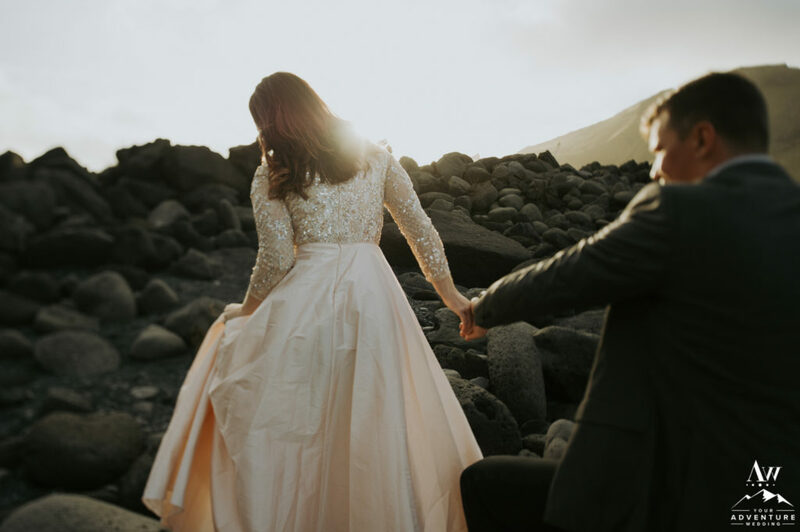 I personally appreciate those highs and lows, because they are fantastic opportunities for character building as a couple and for yourself individually. 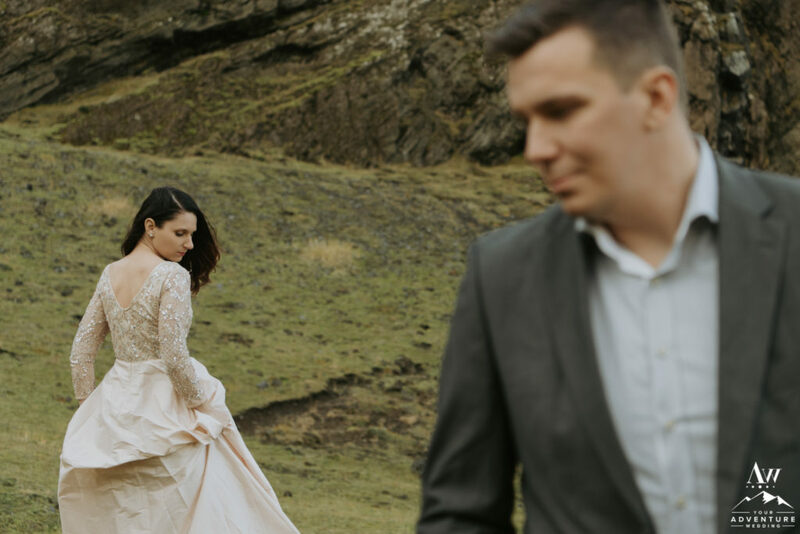 During high season of planning weddings and elopements in Iceland, I often feel like the worst wife ever but then during the slower season, I morph to become the best wife ever. As an entrepreneur (IE, #girlboss) it can be a very delicate life-work balance as some of you may easily relate to. 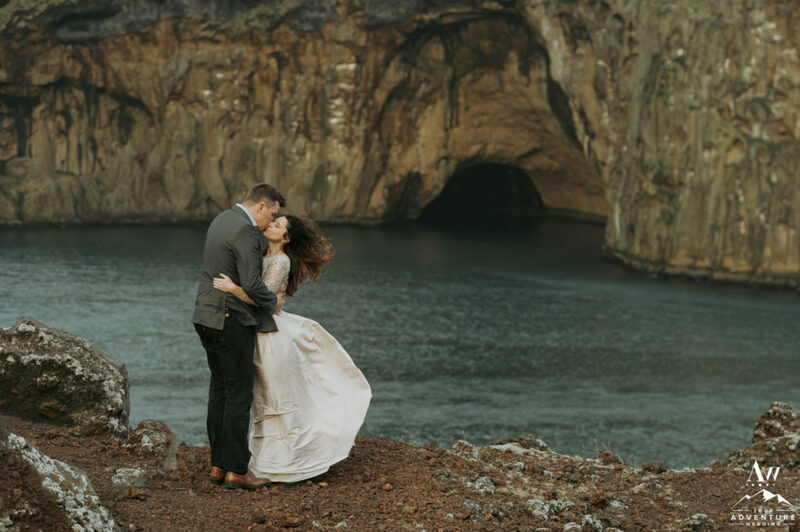 Let me tell you… Keeping weekly date nights, are a relationship savor in keeping us forever newlyweds! 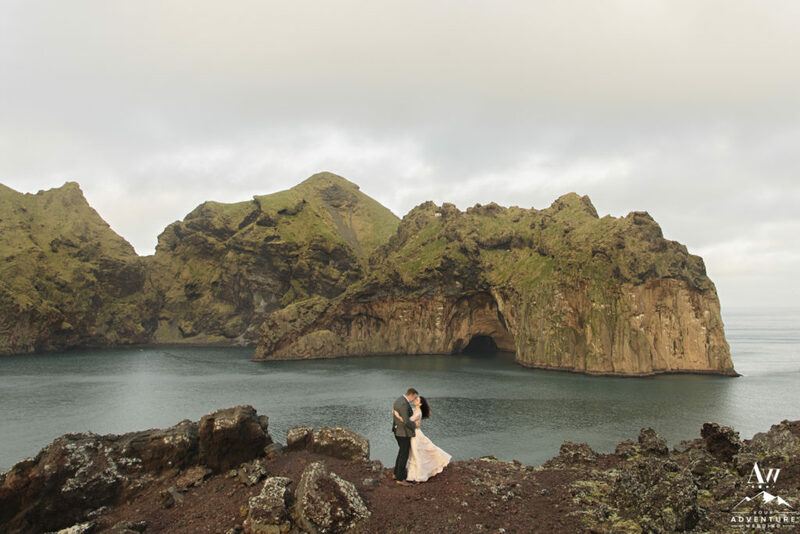 My amazing husband Davíð Geir, is the reason I can stumble into adventures so fearlessly and prevail so passionately. He’s a fellow entrepreneur and gets the lifestyle. 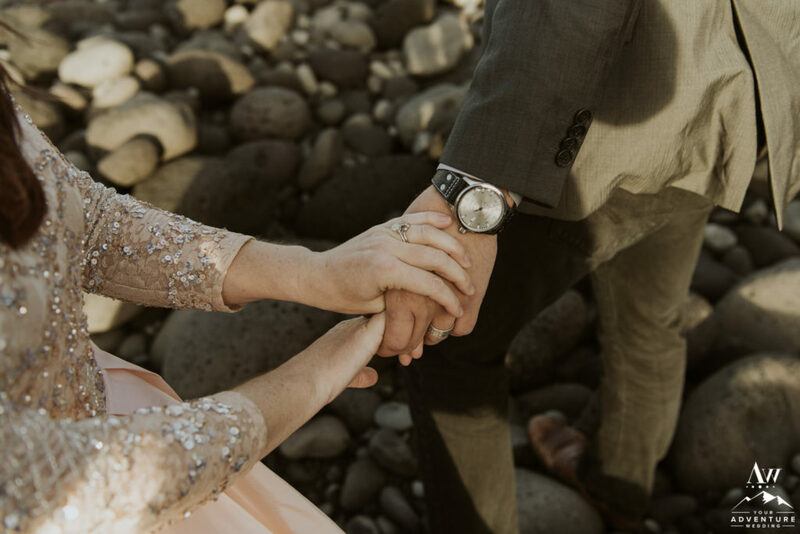 He has an endless supply of patience, effortlessly keeps me grounded but still encourages my dreams I try (and bring) to reality, and there is seriously no stop to his kindness to me and to others. 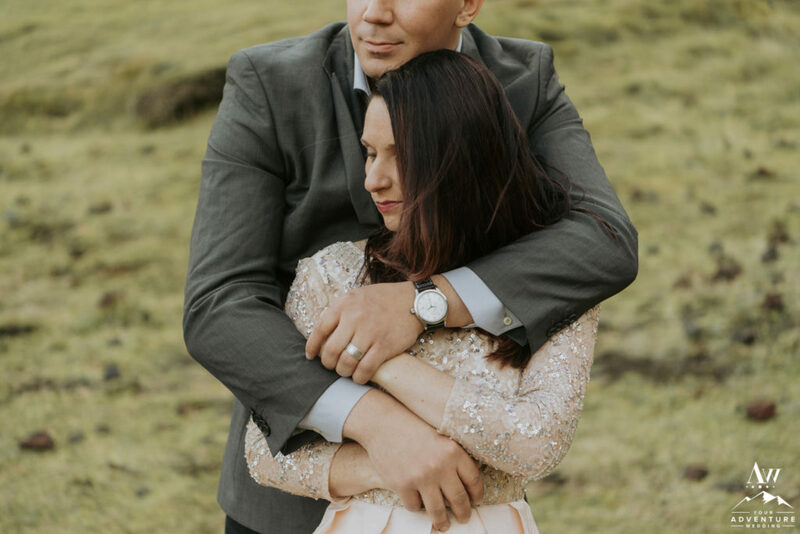 I’m proud to be his wife as we head into year two of our marriage. 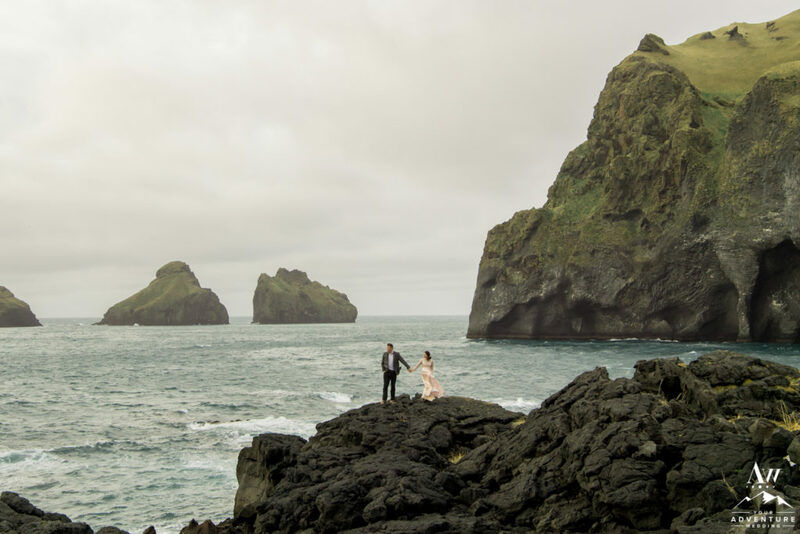 Remember our Lofoten Islands Elopement? If not, head back HERE. 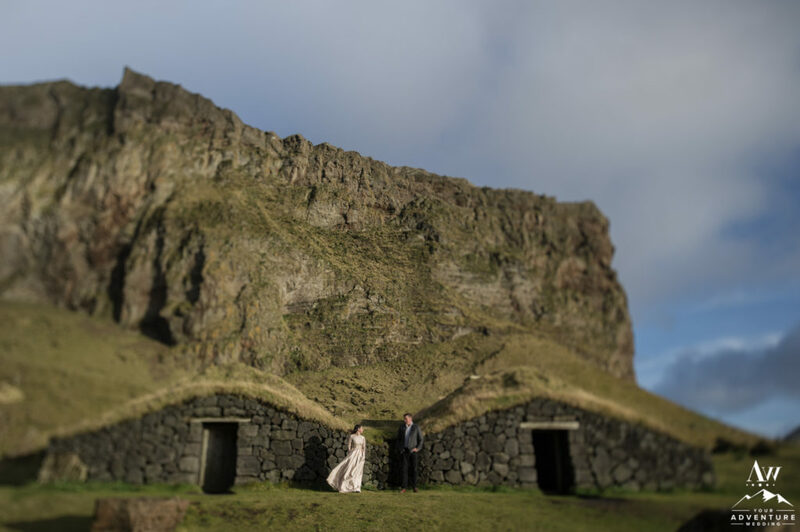 This past fall, one of my super talented primary photographers, Jean Smith adventured with David and I to the magical volcanic Westman Islands for an Iceland wedding anniversary portrait session. 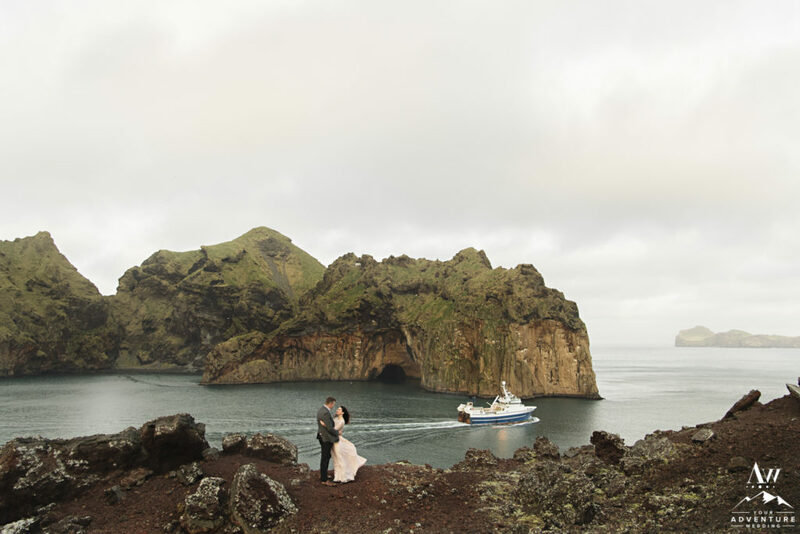 We spent a few days celebrating our elopement anniversary on Heimaey (the main island of Vestmannaeyjar). So! 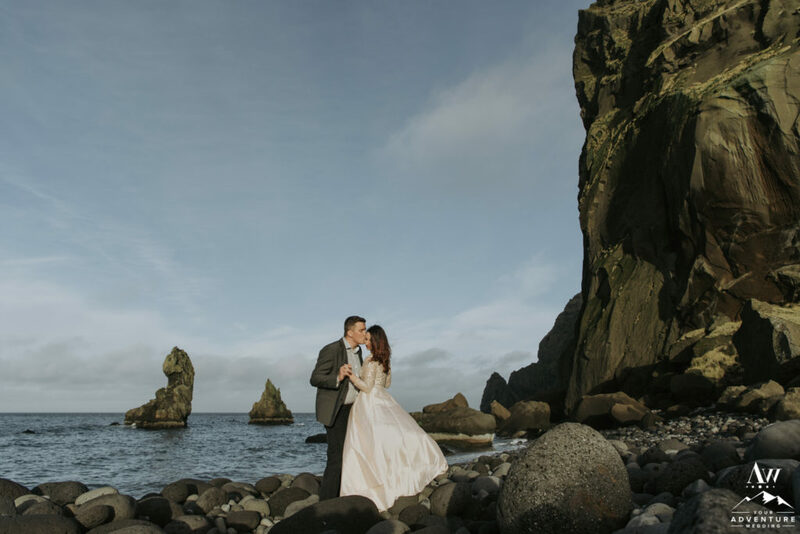 Why not come along with us today as we share with you the incredible beauty of the island and also our Iceland post wedding anniversary session! 1- Is the location on public land or private land? 2- Does the area look stunning rain, shine or foggy? 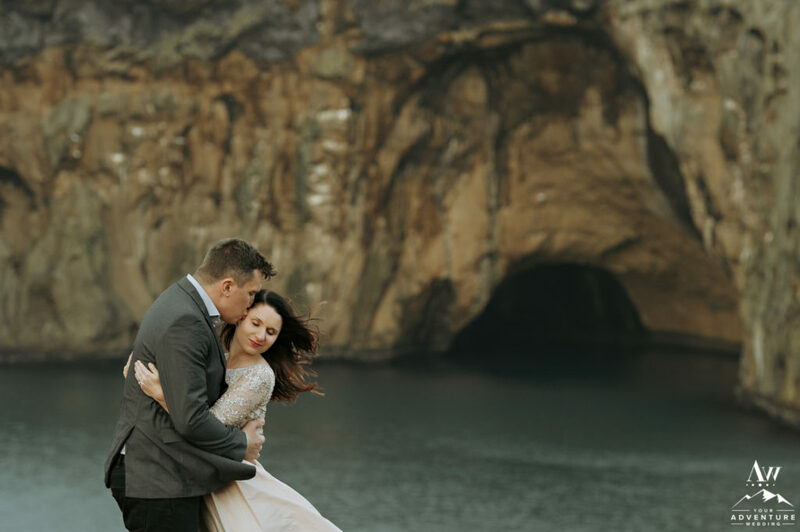 4- And the nearest cave (or waterfall)! 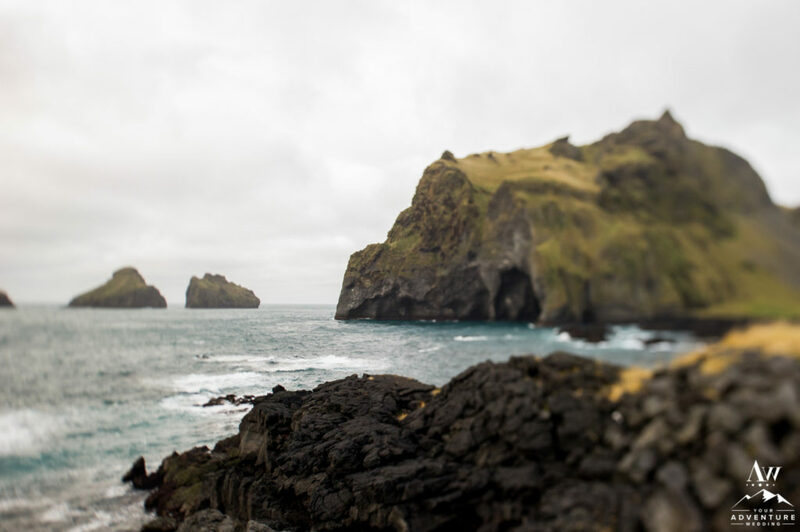 Can we talk about how amazing the textures and tones are of these spectacular islands south of mainland Iceland?! 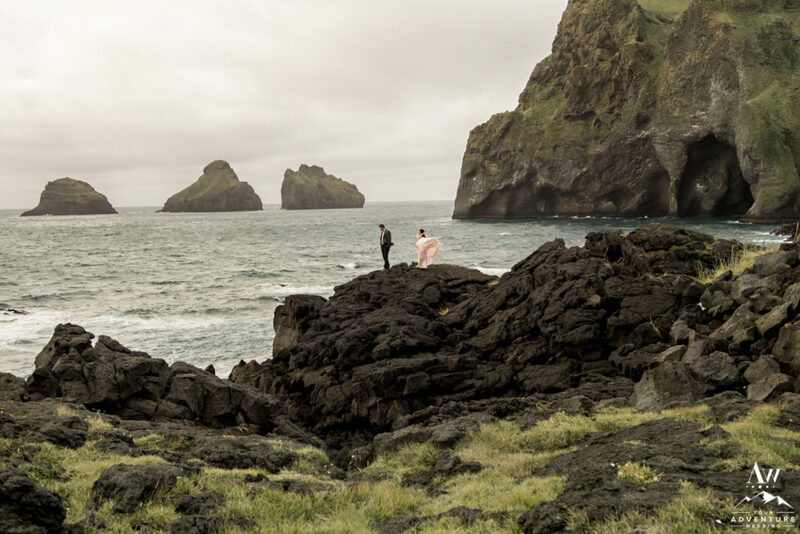 Vestmannaeyjar boasts vivid greens to volcanic browns and everything in between! 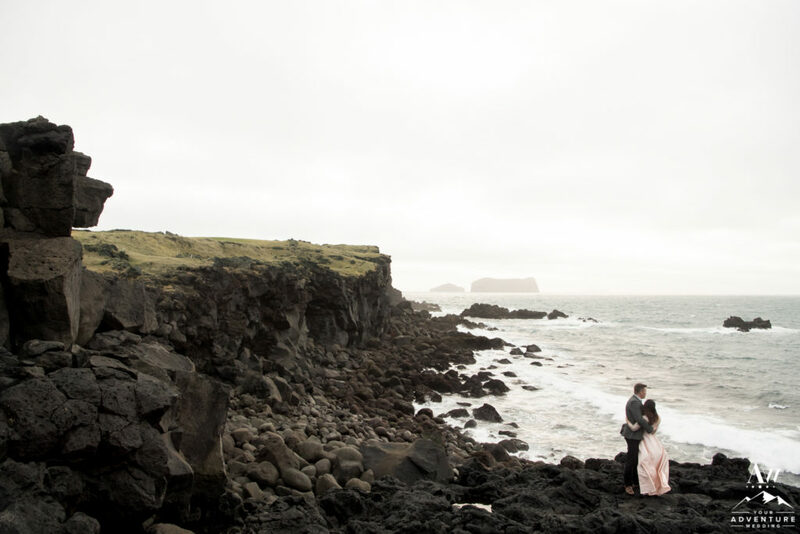 Such a perfect location for an elopement in Iceland! 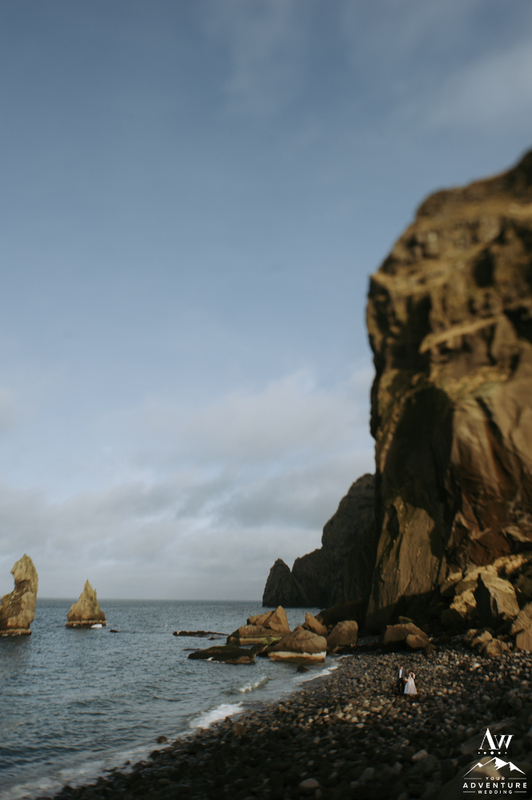 When we invaded the Westman Islands, it was was a several day stretch of quite possibly was the WORST weather they had experienced all year (hello, 60 mph gale force winds!)! Seriously, it was soooo bad we had to take a different ferry route back to Iceland’s mainland the day following. 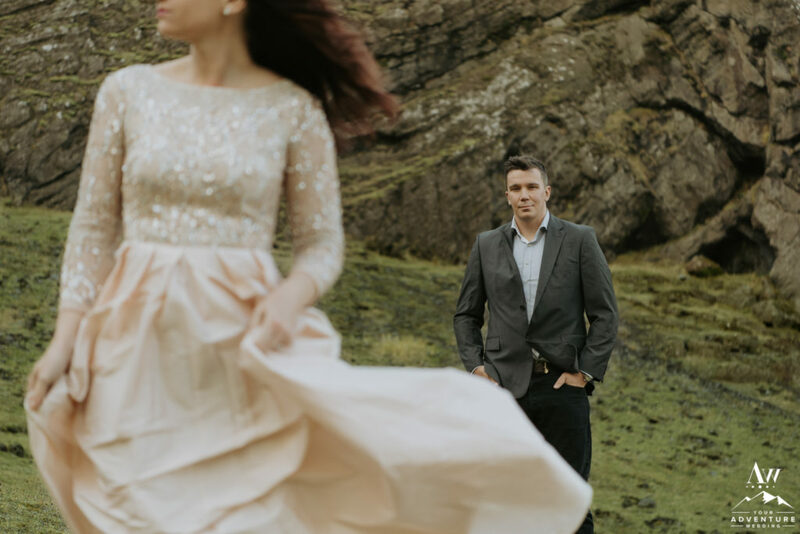 No joke, and folks, just as a reminder our teams style of shooting never ever shows the madness you encounter in a negative way… It just looks dreamy and epic despite heavy wind and rain! 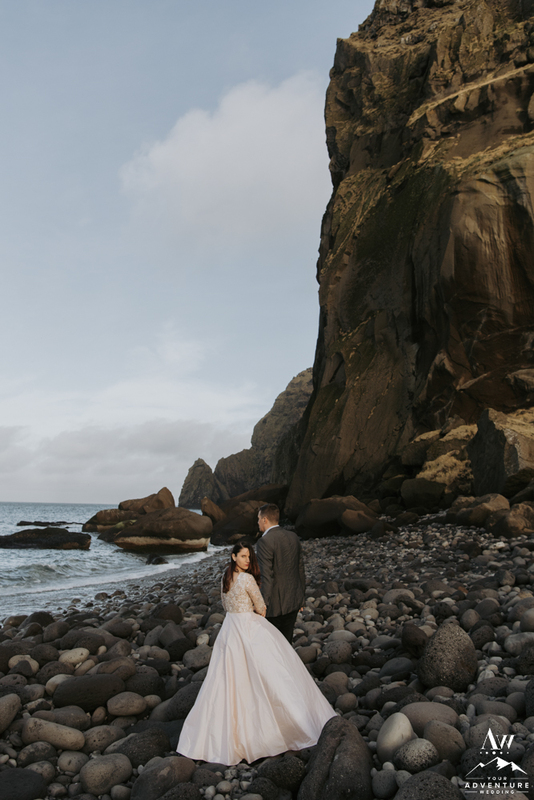 A few of these Iceland elopement anniversary photographs are some of my favorite because of the story we created behind the scenes… You know, just hand in hand, trying to survive the crazy weather conditions in the Westman Islands storm, all while taking in the beauty of the famed “Elephant Rock,” do you see it? 2017, you’ve been a year for the books! Unforgettable in every way, seriously! 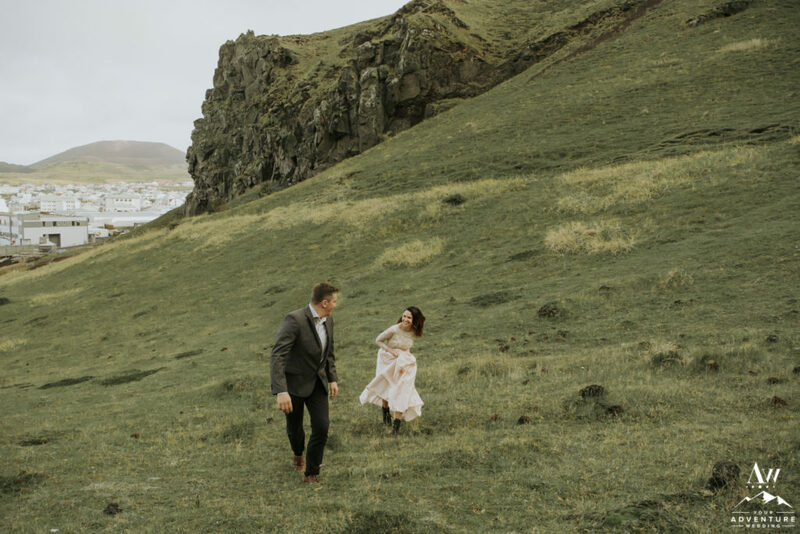 A huge endless amount of gratitude, appreciation, and respect goes out to our Iceland adventure wedding clients. Thank you for being such bad-asses and adventuring hard rain or shine and always with big a** smiles! You make our team thrive in passion for what they do and love. 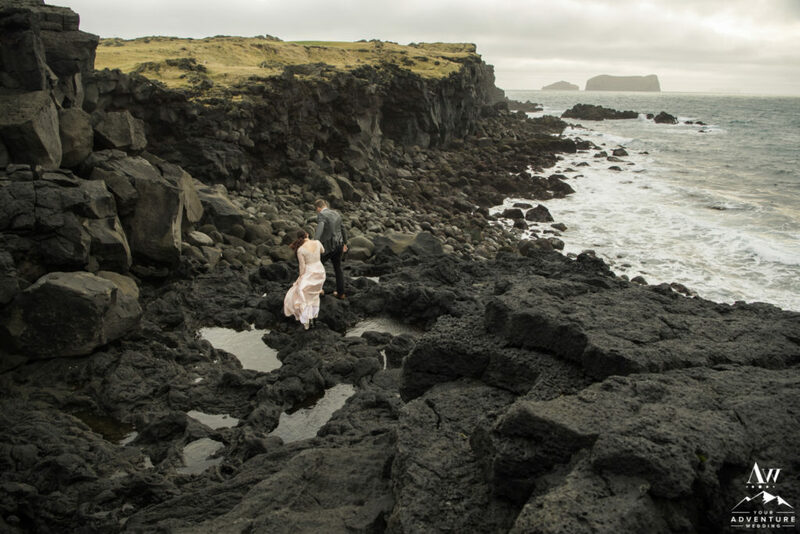 We hope you found yourself addicted to the island and find your way back to it each year for future anniversaries! 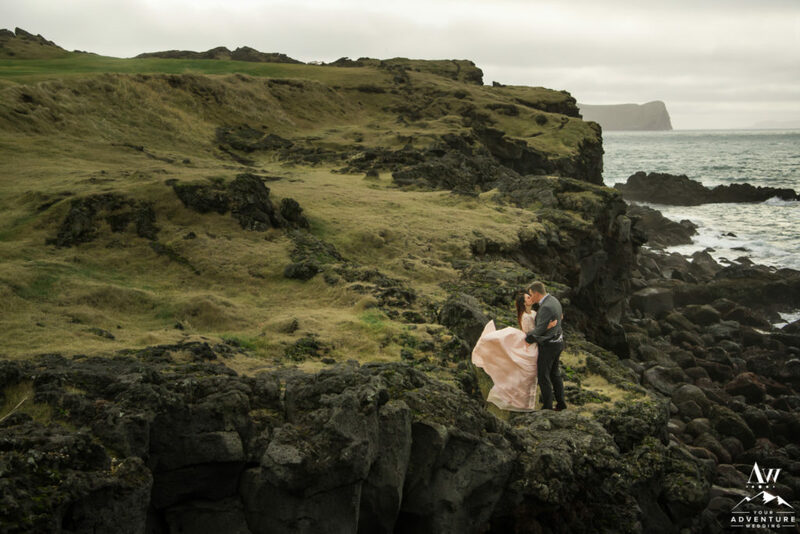 It was an indescribable pleasure for our Iceland wedding planning and Iceland wedding photography team to be a part of such a milestone adventure in your lives, Thank You for choosing us! 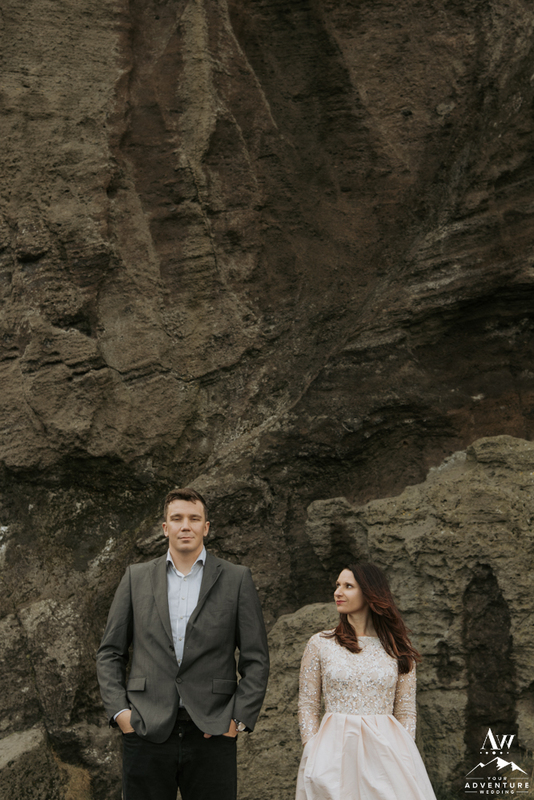 We very much appreciated reading many of your lovely reviews on Google, Wedding Wire, and The Knot! 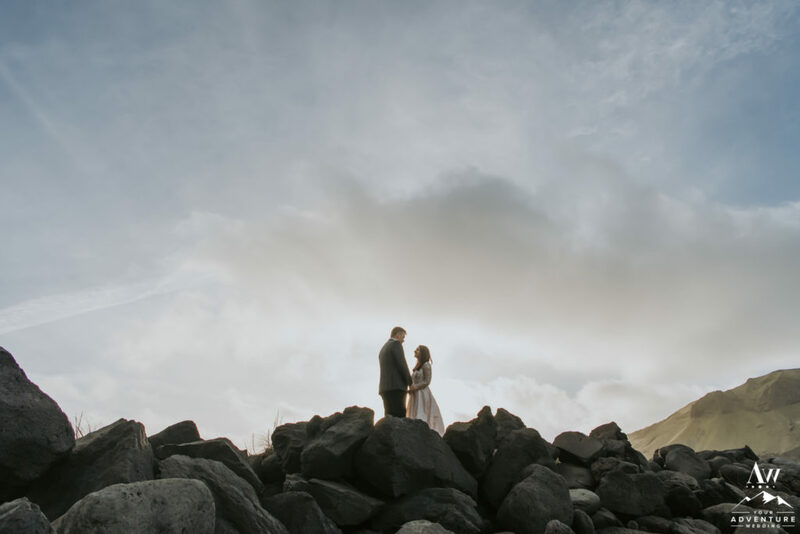 Here’s to another epic year of Iceland weddings!